As many of you probably know, Silent Hill is the name of a damned. Empty streets, buildings falling apart, darkness, fear and insane creatures. Your mission resembles the typical ones where you have to go in the Kingdom of Death and save your beloved princess, in this story – your wife. Actually, the game seems very illogical. Everything around you makes no sense, you start to wonder if it’s real or it’s only your imagination. Silent Hill 2 story and gameplay leaves you with mixed feelings – hate, anger, boredom, delight, enthusiasm etc. Together with the very creative ideas of the scenario there is a lot of space for disappointment and confusion. 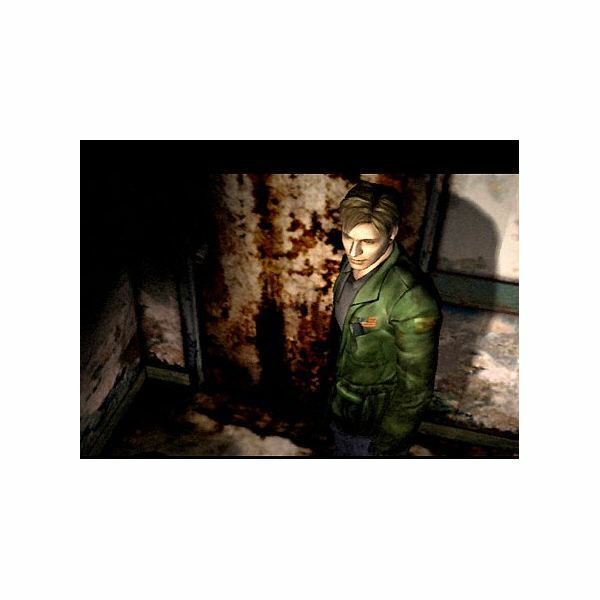 Leaving the questions about if the world of Silent Hill is real or imaginary, one thing is sure – every human in Silent Hill feels and understands the surrounding atmosphere in a different way. In this irrational world not only your fears become true, but also everything that ever hurt you in your personal life. James, our main character, is not the only human being in the city. There are other people soulbound in their own version of Silent Hill. Yet again, it’s not clear if you are insane or the city is. The strange and sometimes illogical conversations will make you think that most of the NPC’s have severe psychological disorders. In the very beginning of the game, I was walking in some offroad way, covered by some consistent fog. I couldn’t see anything and I was hearing strange noises around me, but nothing attacked me however. The road seemed to have no end; was I lost or not? Who knows? happen, but it doesn’t, or at least not when you expect it. The game designers will make you enter in impenetrable darkness, knowing that the enemies are around. And they will force you leave your flashlight, your radio that is an indicator for monsters, and your weapons in the front entrance, because the elevator won’t be able to carry you. Or imagine yourself walking in this particular impenetrable fog. You hear screams from underneath an abandoned car, suddenly some crippled monster pops up and runs away from you. This short encounter is probably more terrible than the boss himself. Yes, in a scary way Silent Hill 2 is very perverse. I wouldn’t recommend this game to kids at all. To help you understand, I will have to share some facts from the game – imagine a humanoid whose hands are sewed beneath his body skin, distorting and bloating from his body movements. Or freaks, prisoned in flying cells trying to choke you. Or even two pairs of female legs bound to each other. Everything around you is just a triumph in anti-humanism. I have to say that there is a big resemblance between Silent Hill 2 and Resident Evil. Those games are so identical that I nearly failed to see something new, something different. The atmosphere is far from interactive – while opening a door, the screen just turns black and the door is now open, no animation or anything. When you stand in front of an object, and when you want to do something with it or interact – you just get a “Yes” or “No.” Do you want to put your hand in a hole? Do you want to jump in the sewers? Yes? No? There are new features and of course, the graphics are better. Nearly everything is rendered in advance and everything is calculated in real-time. The camera is following the hero with the exception of specific places where you have this cinematic feeling, just like in the other horror games. The game is perfectly transferred from the PlayStation 2. You have a lot of freedom in the movement, including an interesting strafe. You can also save wherever and whenever you want to. The overall impressions from the graphics and the game itself are contradictory. The designers have increased the details of the textures, but still some places look funny. The original Play Station 2 version is played on a TV after all. As a whole, the graphics are satisfying for this game’s time, and the characters are very detailed. The rendered movies and cut scenes made with the game engine are just great. The lightning and reflection effects aren’t missing, combined with the dynamic shadows and the spooky sound effects – it really makes the atmosphere live. I don’t know what to say in conclusion, I loved and hated this game. Would I recommend it? I guess yes. I suggest to you once more not to give it to your kids. Also, if you are in deep depression and blank despair, better try something else. Or maybe this game will give you back your life forces? I just…give up!